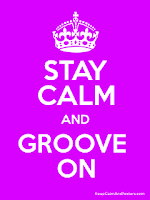 ....and a groovin' New Year! P.S. - Happy December birthday, George, Zig and Art, Conee Boswell, Lee Dorsey, Dave Bartholomew, Fess, Red Tyler, David Batiste, Louis Prima, Reggie Hall, Jesse Hill, Guitar Slim, Benny Spellman, James Booker, Tuddy Montana, Baby Dodds, Cousin Joe, Shine Robinson, Chris Kenner, Charles Neville. . . .